KD and Russy outscore Miami in the second half to seize Finals lead. 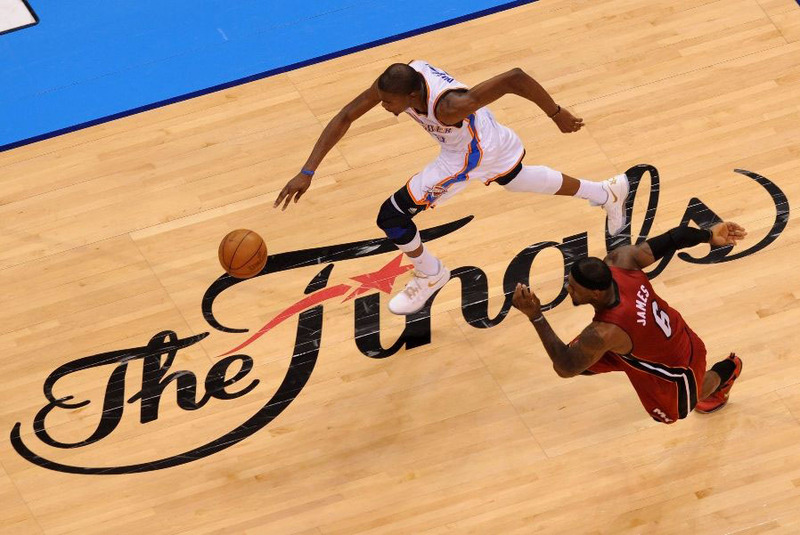 By the numbers, Game 1 of the 2012 NBA Finals between Miami Heat and Oklahoma City Thunder was the most watched series opener since ABC acquired rights in 2003. The game registered an 11.8 overnight, topping the previous record established by the Los Angeles Lakers and Detroit Pistons in 2004. If last night's game was any indication of the play we can expect in the remainder of the series, then expect those type of numbers to trend as we progress through this anticipated showdown. The early stage of Game 1 was dominated by the Heat, led by a focused LeBron James and surprisingly hot-handed Shane Battier. Shane dropped a postseason high 13 first half points, helping Miami lead by as much as 13 and maintaining a 7 point advantage at halftime. 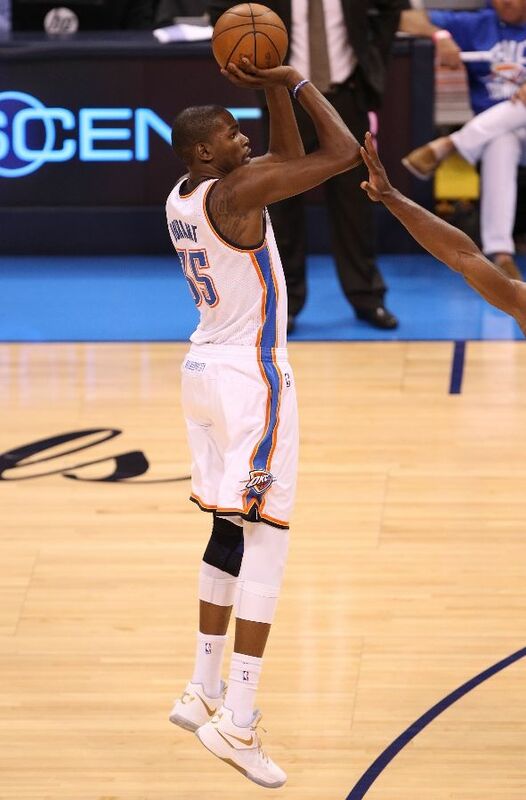 However, the Thunder seized control in the third quarter, led by their two All-Stars Kevin Durant and Russell Westbrook. The two outscored Miami 41-40 in the final two quarters, including another impressive late-game closeout by the 23-year-old three-time scoring champion. Stifling defense sealed the deal on a 105-94 win for the home team. Also impressive in Game 1 was the footwear, particularly the Finals Player Exclusives worn by James and Durant. 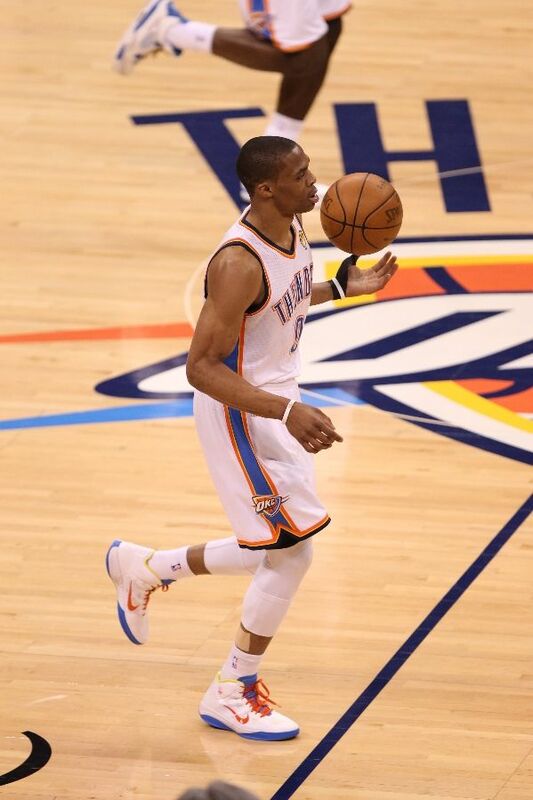 Westbrook continued to wear his old "Why Not?" Hyperfuse PE; Kendrick Perkins added gold laces to the recently released "Military Blue" Air Jordan Retro 4; Mario Chalmers broke out a new colorway of the Spalding Slash; Shane Battier shot well in his PEAK sig; Mike Miller understandably ditched his usual KDs for a new Hyperdunk 2011 Low PE; Chris Bosh laced up a Finals colorway of the Air Max Hyperdunk 2011; and D-Fish, Daequan Cook and Serge Ibaka all repped the Three-Stripes. A full look at the sneakers worn in the game (and Lil' Wayne!) in this installment of Sneaker Watch. 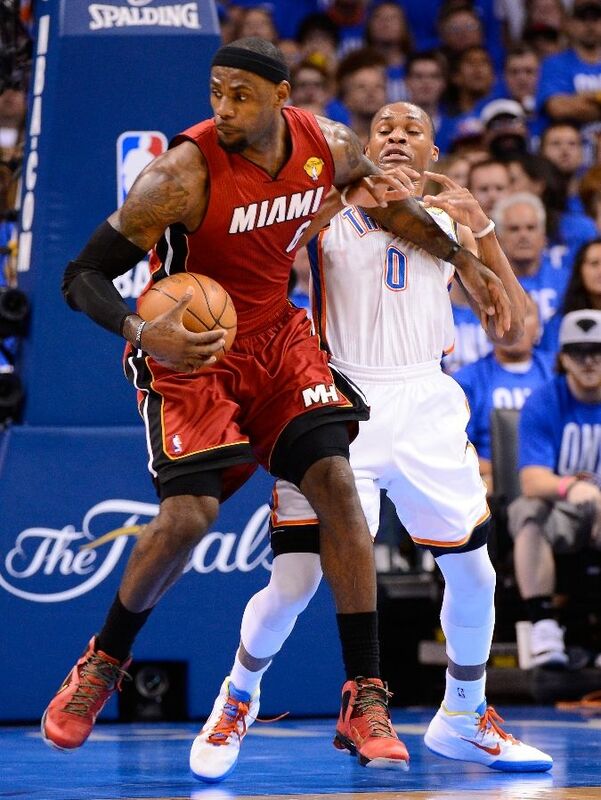 LeBron James backs down Russell Westbrook in his red Nike LeBron 9 P.S. Elite Finals PE. 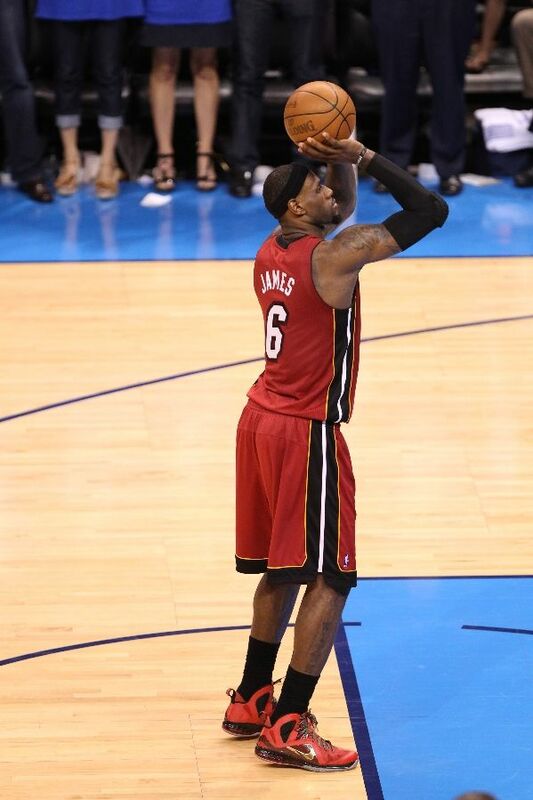 Another look at LeBron's Finals Elite 9 PE. 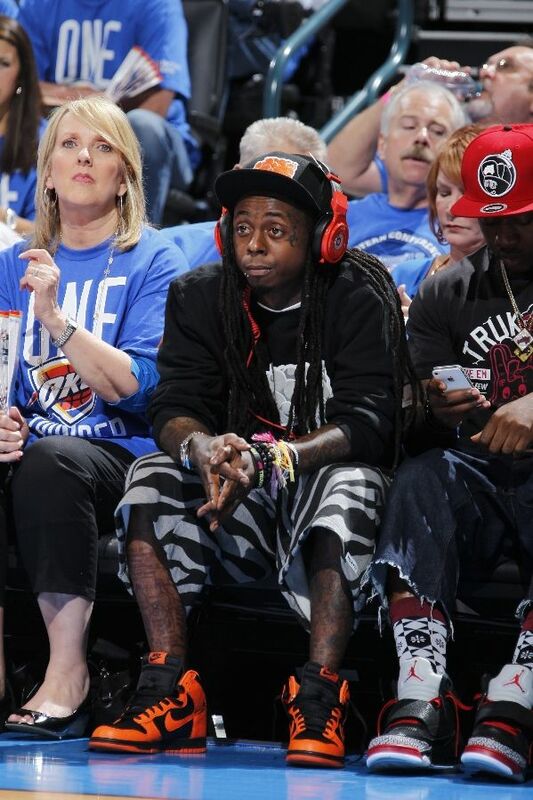 After all the hoopla, Lil' Wayne doesn't seem too excited to finally be at Chesapeake Energy Arena. 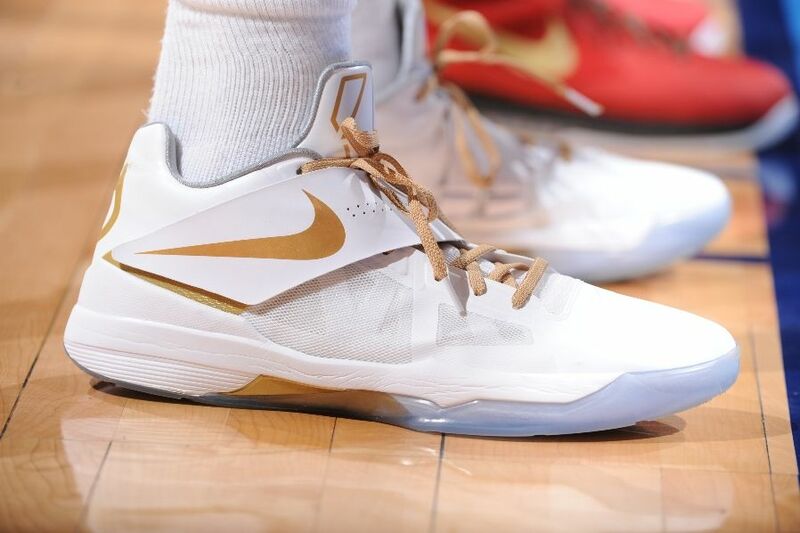 Kevin Durant dials up a shot from long distance in a White/Gold PE colorway of the Nike Zoom KD IV. A closer look at Durant's Finals KD IV PE. 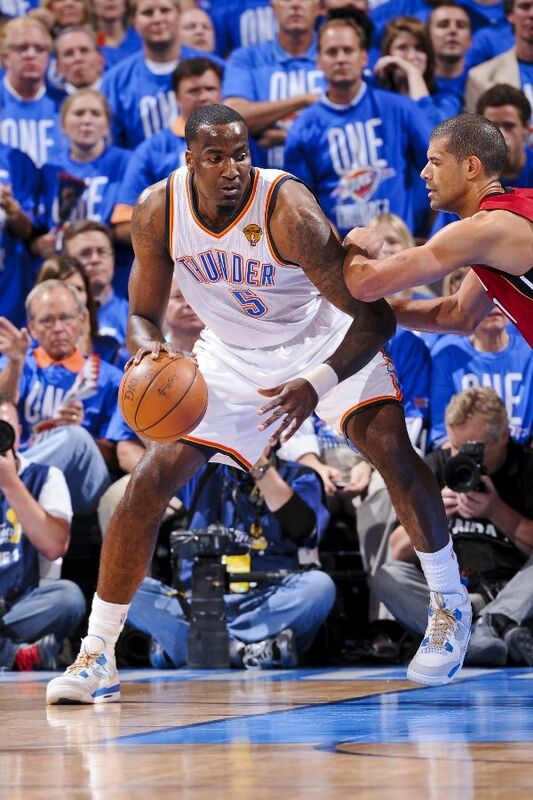 Kendrick Perkins works the post in a golden-laced pair of the "Military Blue" Air Jordan Retro 4. 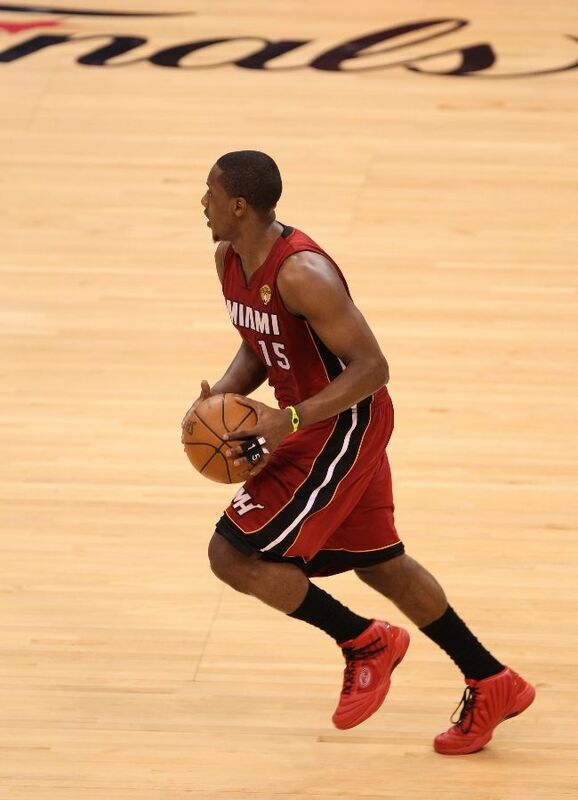 Mario Chalmers runs the point in a red-based colorway of the Spalding Slash. 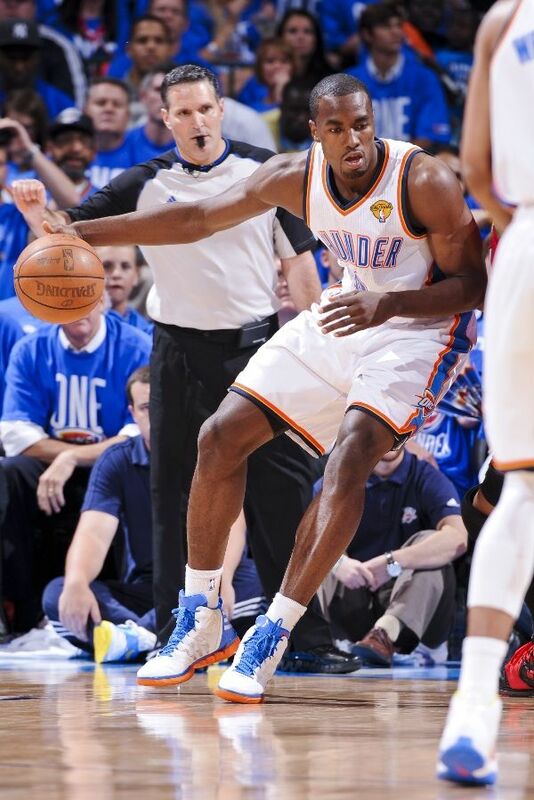 Serge Ibaka operates in the post wearing his 'Home' adidas adiZero Shadow PE. 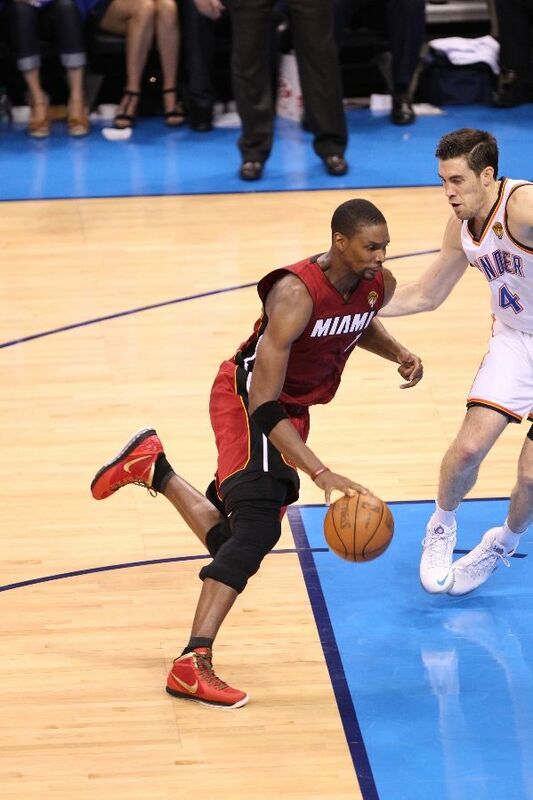 Chris Bosh drives in a Finals PE colorway of the Nike Air Max Hyperdunk 2011. 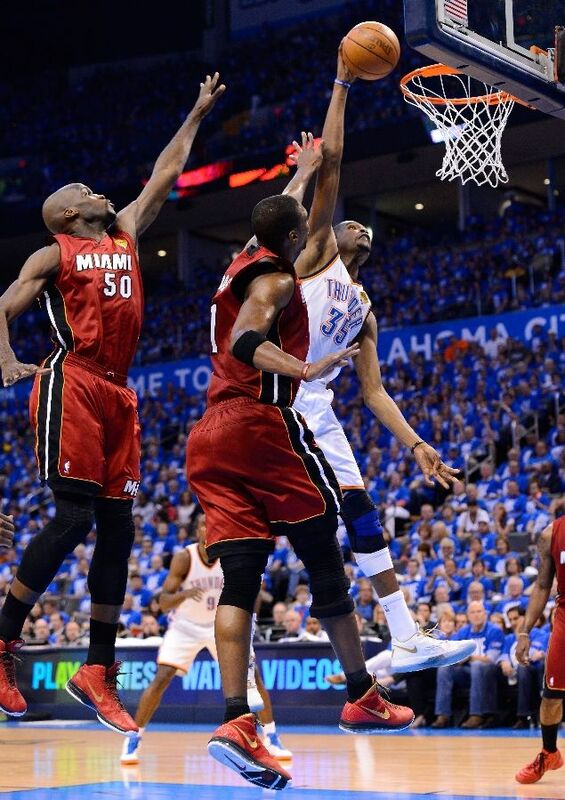 Russell Westbrook had an explosive game in his PE colorway of the original Nike Zoom Hyperfuse. 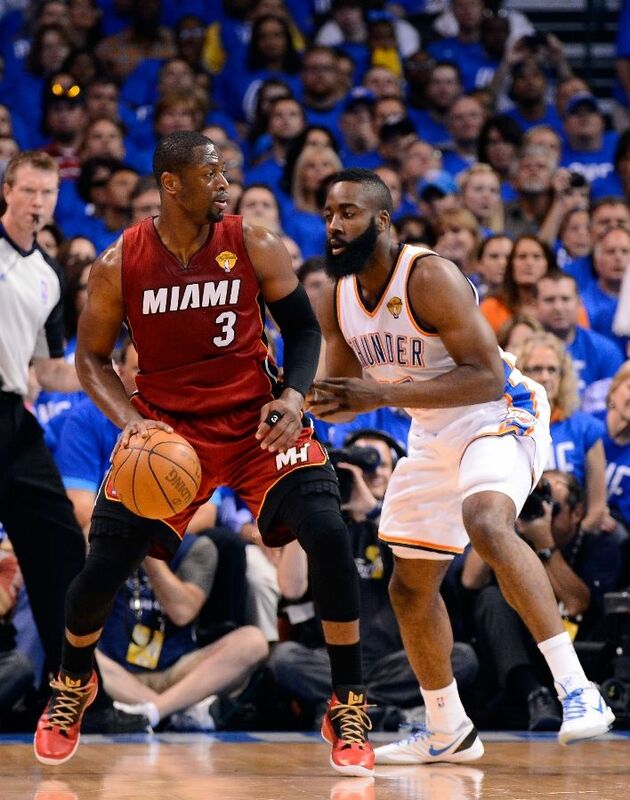 Dwyane Wade sizes up James Harden in a Finals PE colorway of the Jordan Fly Wade 2 EV. 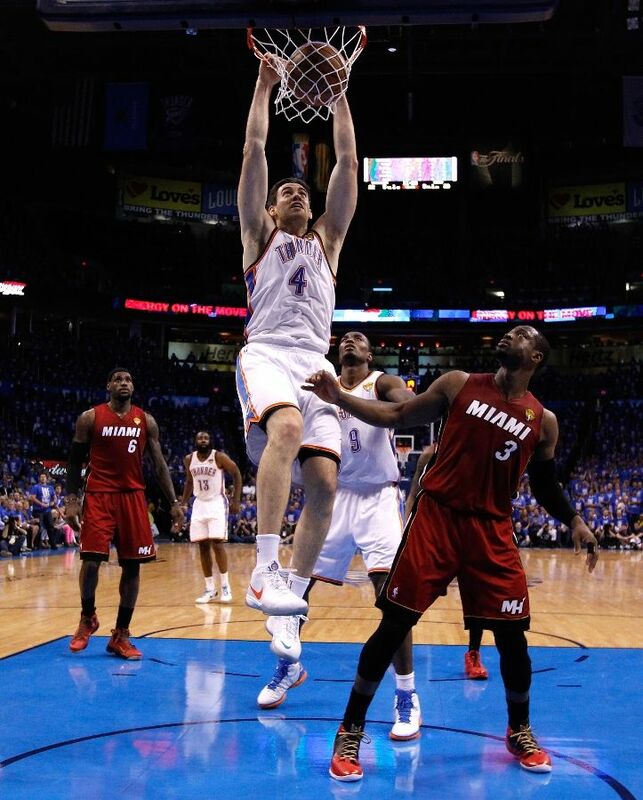 Nick Collison dunks in his Nike Zoom KD III PE. 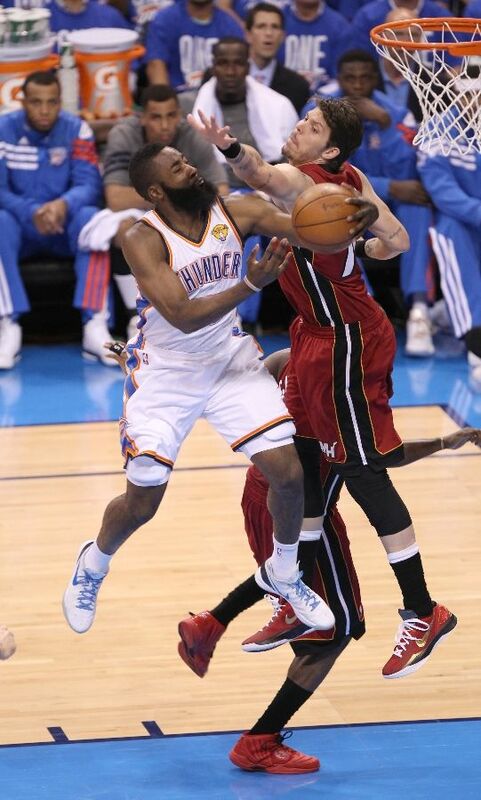 Mike Miller attempts to block Harden's shot in a Finals PE colorway of the Nike Zoom Hyperdunk 2011 Low. 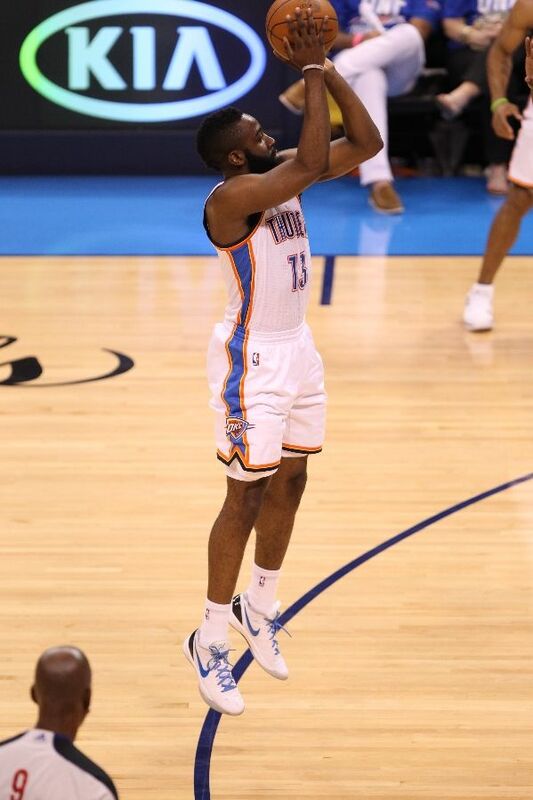 James Harden shoots in his Nike Zoom Hyperdunk 2011 Low Elite PE. Shane Battier had a surprising offensive "explosion" in the PEAK Battier VI. 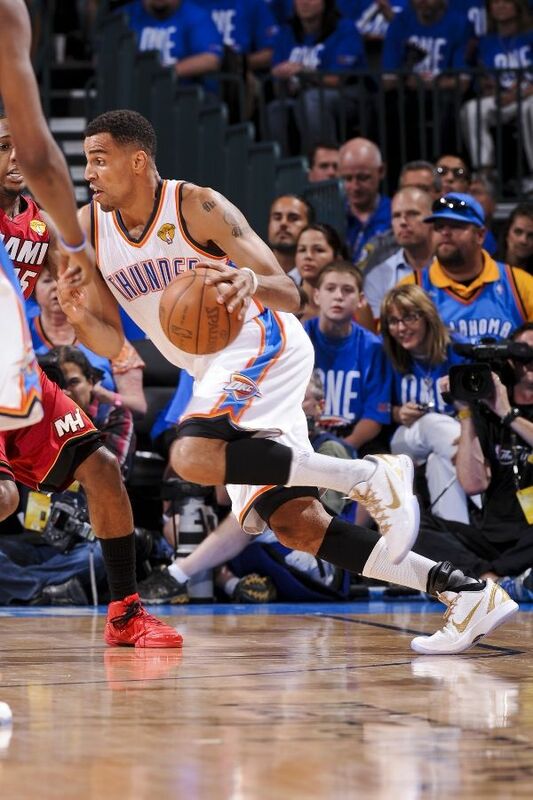 Thabo Sefolosha attacks in a White/Gold colorway of the Nike Zoom Kobe VI. 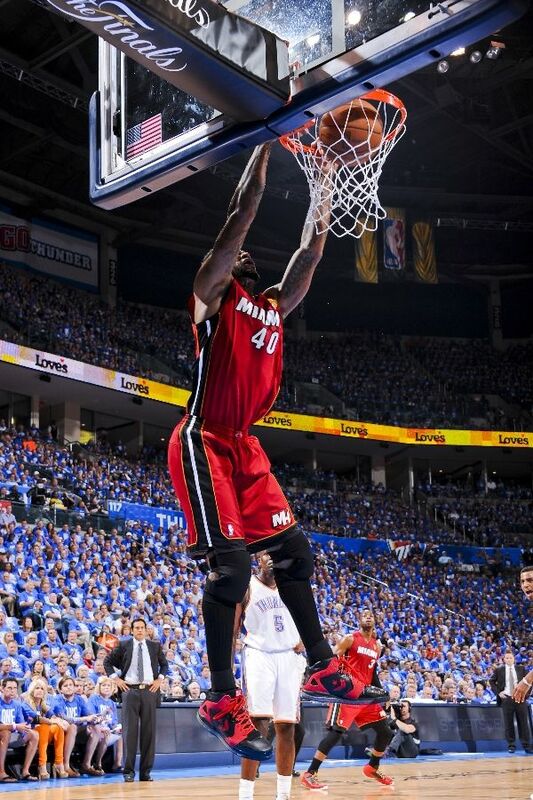 Udonis Haslem dunks in Converse Sicks. Derek Fisher dishes in the adidas adiZero Crazy Light Low. 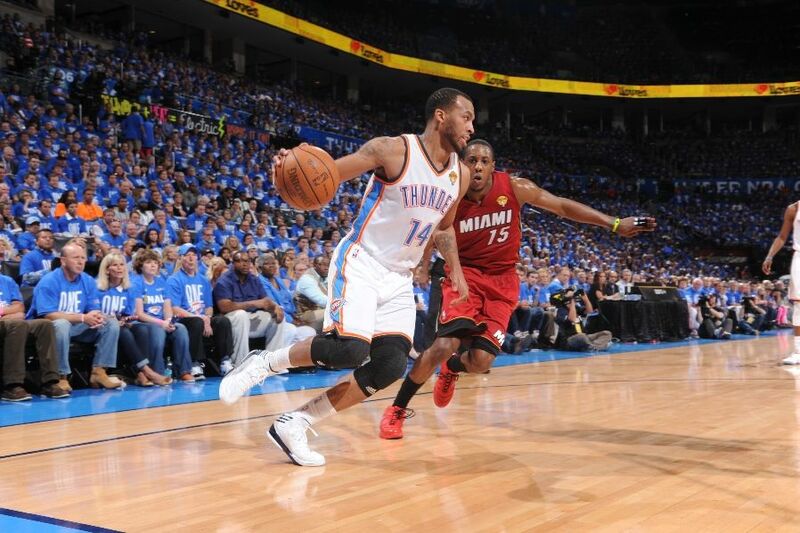 Daequan Cook looks to score in the adidas adiZero Crazy Light 2. Joel Anthony joins KD's poster in the Nike Air Max Destiny Finals.